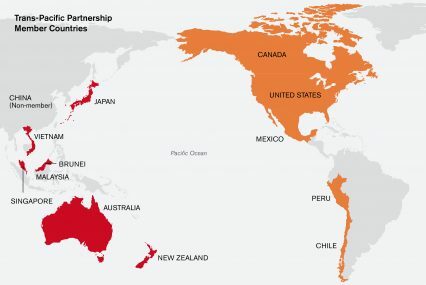 The Trans-Pacific Partnership (TPP) trade deal has finally been signed after years of negotiations. The 12 countries participating in the agreement, Japan, Vietnam, Brunei, Malaysia, Singapore, Australia, New Zealand, Canada, the US, Mexico, Peru, and Chile encompass 40% of global trade, which is why the TPP is viewed as the most significant development in global trade negotiations for a generation. How will it affect trade finance? GTR reports the reactions from Asia and from the Americas.